Linda answers the question "Why Do We Write?" The goal is self-actualization. 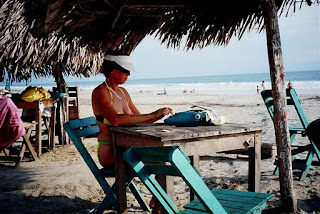 Writing expands and excites my universe while providing purpose to my adventures. It is my form artistic self-expression that allows me to be a part of the “Long Conversation” that is our civilization. The San Juan Skyway extends through sage-littered plains, up verdant river valleys to lofty peaks streaked with snow and alpine cirques glistening in the sun. The 236-mile loop in southwest Colorado can be done on less than a tank of gas in a day, but it deserves a lifetime of exploration. In this two-piece series, I share how a person of average fitness can get into the heart-catching scenery without tapping their 401K. The best ways to take in the rugged terrain are on foot, horseback, 4×4 vehicle, or on a turn-of the-century steam train. The journey through this soul-stirring stretch of the Rockies begins in Durango, the gateway to the Four Corners region. 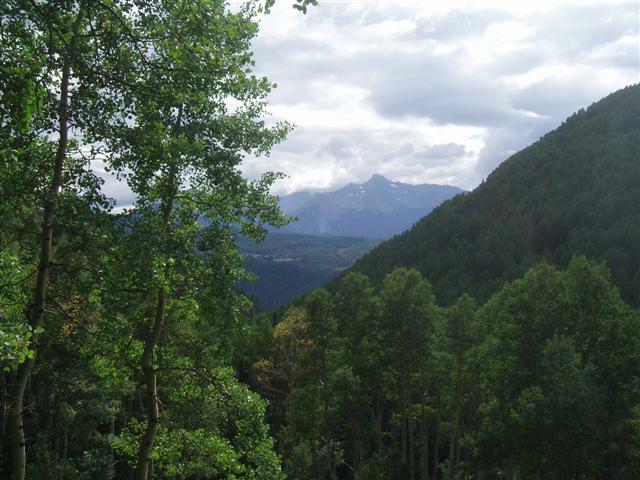 There are stops in Mancos, Mesa Verde, Telluride the glamour girl of the mountains, Ouray the sweet spot in the San Juans, and Silverton the heart of the high country. A whistle blast from the Durango-Silverton train signaled all aboard. The longest continuous running line in the country was completed in 1878 at a cost of $1,000 per foot. Men were lowered over the cliffs on ropes to plant sticks of dynamite into the rock face, and then had to be lifted out just before the blasts. I gazed out over the heart-catching chasm where Butch Cassidy and the Sundance Kid made their famous leap into the churning Animas River. Two hours into the rugged canyon aboard the rockabilly train brought us to Needleton (9,000 ft) where well marked trails radiate deep into the mountains. Backpackers headed for Chicago Basin on a steady bun-burning climb to campsites in the Weminuche Wilderness. I opted for a day hike on Purgatory Trail that sticks close to the bottle-green river. It leads through a shady grove of aspen lined with asters and gold capped mushrooms. Adventure travel writer Linda Ballou knows how to bring home a great story when she goes on a trip: Get into trouble. For her, the deeper the water, the fouler the weather, the more hazards underfoot and overhead, the better the story will be to tell. Think about the alternative. You come back from your journey and tell your friends and family that you encountered no flights delays, no bad meals, no lost or stolen personal items, no bed bugs at your hotel, and not a drop of rain fell on your head. How do they respond to this tale of no-woe-at-all? By yawning. I love books that tell a great story but I want to learn something at the same time. I knew that since Linda Ballou was a travel writer that I would learn about Hawaii but what I didn't realize is that she is a beautiful writer. This story takes place at the time in history where the Hawaiians are introduced to the Europeans as seen from the Hawaiian viewpoint. It is a lush story about a strong woman living in a warlike country. Just get that picture of peaceful Hawaiians out of your head. She weaves a tale that keeps you intrigued all the way to the end. This is a great read about a fierce heroine. A love triangle of extremes has proven to be a solid base for my writing. From my roots in Alaska I received strength, centeredness, and respect for the awful power of nature. 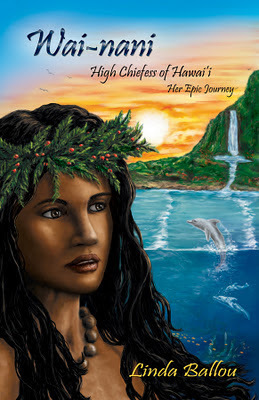 While living in Hawaii I found nurturing, a spiritual awakening, sensuality and the heroine for my historical novel, Wai-nani High Chiefess of Hawaii: Her Epic Journey. In proud California I obtained a degree in English Literature from Northridge University and a doctorate in urban savvy. 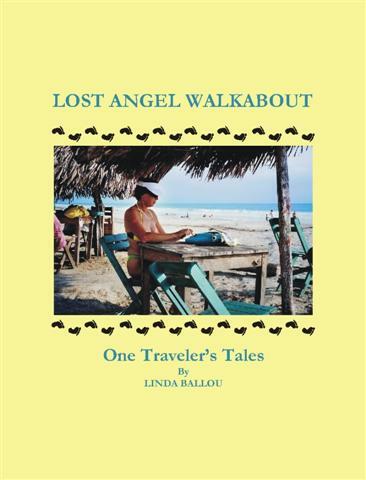 My non-fiction book Lost Angel Walkabout-One Traveler’s Tales is a spirited collection of travel narratives. I live in Los Angeles where I continue to enjoy exciting contacts, and friends.